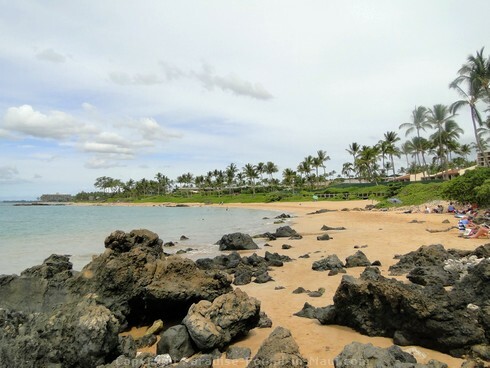 Mokapu Beach Park is a lovely Maui beach in Wailea boasting divine views of the neighbouring islands of Molokini and Kaho'olawe, palm trees and crashing surf, and tide pools swimming with sea creatures! 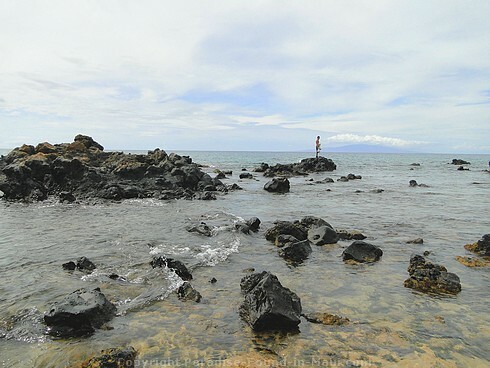 Speaking of sea creatures, this Maui beach is extra special to me because my kids and I saw one of the coolest things ever in the tide pools here: a blinking rock! Well, that's what it looked like at first. Eventually, this "blinking rock," which turned out to be a squid, blinked at us again, wiggled, then swam off into the deep! Since we'd never seen one up close and personal like that before, this was really cool to us! In the mornings when the water is more likely to be calm, the snorkeling around the rocks can be rather nice. Ulua Beach is just to the left of the parking lot that you'll use for Mokapu Beach, and is known for sea turtle sightings. 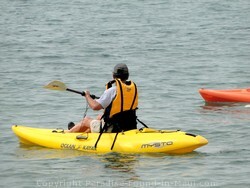 We saw several people stand-up-paddleboarding, and also ocean kayaking. If there are some waves, the boogie boarding can be great here as well. The best time to find some waves here will be in the afternoons. 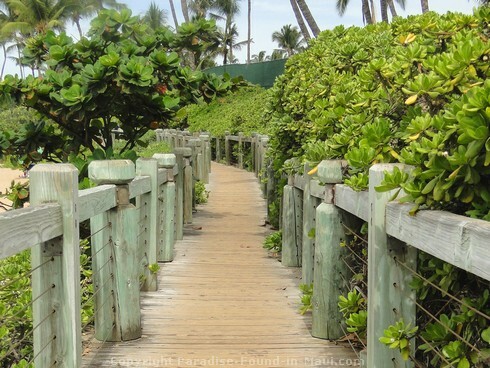 There is also a lovely wooden walkway along the back of the beach, which is great for a stroll at any time of day! 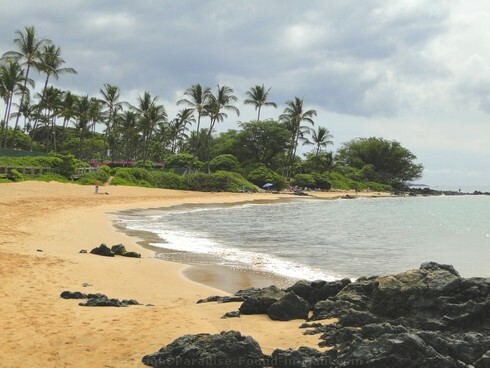 In fact, one of the things I loved most about this beach is that if you tend to get restless like me, you can walk along the ocean to other beaches: Ulua Beach is to the south, and if you head north you can go all the way to south Kihei at the end of Keawakapu Beach! There are signs warning of the potential for strong currents, sudden drop-offs, sharp coral, dangerous shorebreak, and slippery rocks. At certain times of the year, there is an increased likelihood for jellyfish and portuguese man-of-wars. These stinging sea creatures are said to be much more of a problem on Oahu compared to Maui, but it doesn't hurt to know that IF they decide to pay Maui a visit, it's most likely to be 7-11 days after a full moon. If you see jellyfish on the beach at any time, I recommend you stay out of the water just to be on the safe side! There are no lifeguards at this beach. Use caution, and if in doubt, don't enter the water. The beach park is open from 7 a.m. until 8 p.m. 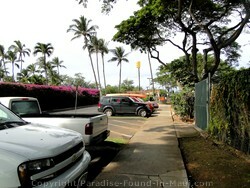 There are restrooms and showers located next to the parking lot on Ulua Beach Road. 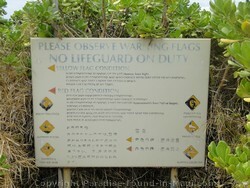 Wondering how to get to Mokapu Beach? The turn-off to the parking area is off Wailea Alanui Drive. 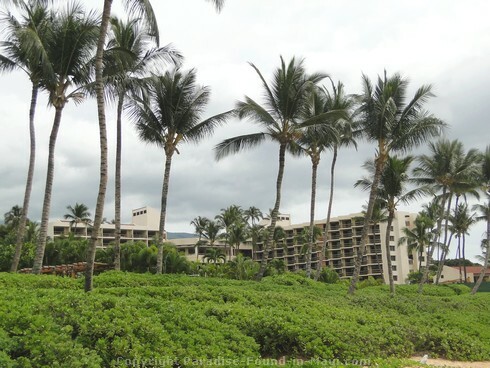 You'll see a gated driveway for the Wailea Fairway Estates on one side of the road - across from that on the makai (ocean) side of Wailea Alanui Drive is Ulua Beach Road. Turn down the hibiscus-lined Ulua Beach Road and you'll find the parking lot that is shared by Ulua and Mokapu Beach Parks. You'll know you're on the correct road because you'll see a tall green sign that says "Welcome to Ulua/Mokapu Beach." Mokapu beach is the one to the right of the parking lot, Ulua beach is on the left. 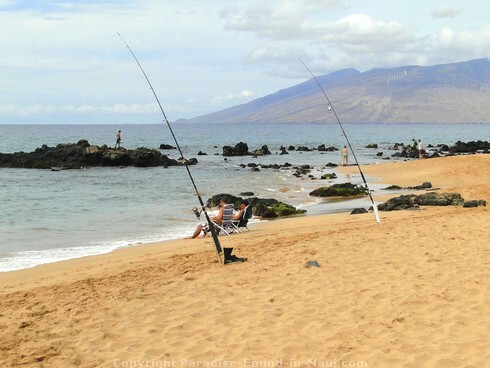 The lot off Ulua Beach Road is the most convenient, but if it's full, you can try the southernmost lot for Keawakapu Beach at the end of South Kihei Road. From here, it's not too long of a walk to get to Mokapu.